In NSW, three-quarters of all women killed die at the hands of someone they were in a relationship with, about two in five of all assaults are domestic violence related, about 370 instances of domestic and family violence a day are dealt with by police but only half are reported. Domestic and Family Violence is one of the most serious social and justice issues of our time. Local councils can play a key role in supporting survivors of domestic and family violence and in prevention measures to tackle the cycle of violence and eliminate the root causes. We must move up the cycle of violence and invest significantly in preventative strategies and programs to identify and support those at risk and address root causes such as gender inequality, power imbalance, sexist attitudes, social isolation and alcohol abuse. Addressing domestic violence involves the participation of many agencies, departments, non-government organisations, the community and the three levels of government – federal, state and local. It is crucial to make arrangements for a coordinated and integrated approach which is led by a focus on prevention. The Coalition Government’s fractured response to the complex issue of domestic and family violence has forced uncertainty, competition and closure upon a sector whose core aim is to provide stability and support to those escaping domestic and family violence situations. The rollout of the Government’s Going Home Staying Home program has seen the decimation of autonomous women’s refuges with scores of services forced to either close or hand their operation over to a larger generalist service, many with funding, staff and 24 hour access cuts. We are particularly failing regional women with 19 of the top 20 Local Government Areas (LGAs) with the highest rate of domestic assaults being in regional areas already suffering from a lack of services. We must ensure that women who face a higher risk including Aboriginal women, CALD women and women with a disability receive tailored support and services. 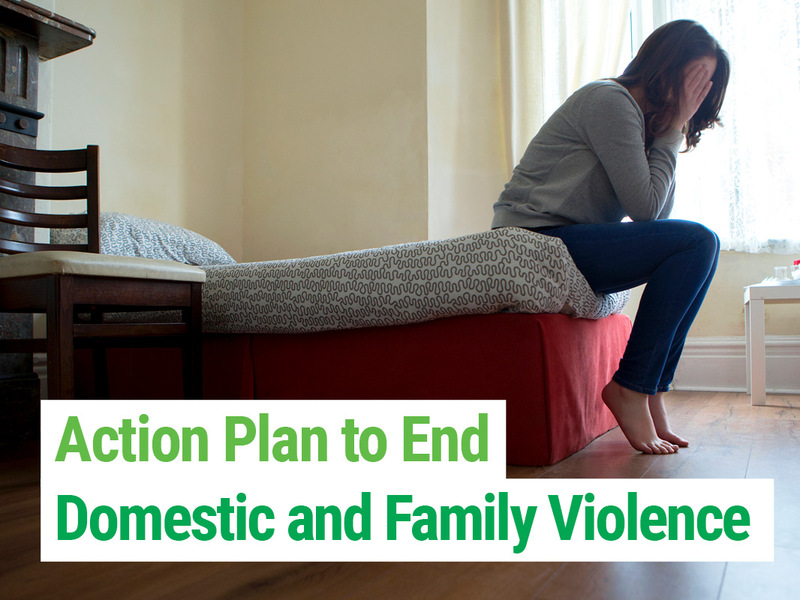 The Greens NSW plan to end Domestic and Family Violence recognises the critical importance of investment in primary prevention — such as whole of community education and awareness; and specialist support services that respond to the needs of women and children experiencing violence — especially crisis counselling and accommodation. Working closely with local schools, community groups, women’s’ health centres and refuges to jointly campaign for funding and to help facilitate targeted education programs in schools from early childhood to high school to build awareness in young people of gender stereotyping, inequality and attitudes that encourage violence. Sponsoring and organising events such as White Ribbon Day and other events which raise awareness of domestic and family violence and the prevention role that everyone needs to take on. Advocating strongly on behalf of the community for the restoration of funding to women-only specialist services, refuges and shelters, and increasing funding to these services in rural/regional areas and where possible consider the lease of council properties to women’s’ refuge services. Advocating strongly for investment in programs and services that meet the specific needs of at risk groups, such as Aboriginal, immigrant women, women with a disability as well as the LGBTIQ community. Investing in skills development for local council employed community workers at the front line of supporting victims of domestic and family violence. Advocating strongly for a safe and supportive justice system and the improvement of the justice system by providing access to specialist family violence support workers, court staff and magistrates who understand the dynamics of family violence. Also advocating for an increase in funding for free legal advice for victims. Funding local community and local council workplace based initiatives to prevent violence and foster respectful and equal relationships between men and women in the workplace. Providing domestic violence leave and support to council employees and their families who experience domestic violence.